Ger has been working as an accredited psychotherapist for 14 years and maintains a private practice in Slane. She works as an accredited Clinical Supervisor with psychotherapists and CEO’s within the Community & Voluntary Sector. She is currently a Tutor & Supervisor with Turning Point™ Institute. She has done further core training in the areas of Trauma and Developmental Trauma with the Sensorimotor Institute in Boulder, Colorado. 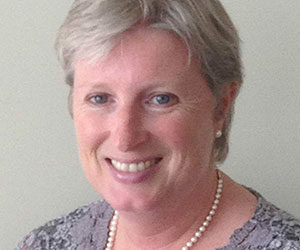 She has many years experience in the area of management within the Community and Voluntary Sector. Ger currently works for an organisation that advocates and represents Community-Based Counselling organisations at a national level. Diploma in Counselling & Psychotherapy. Certificate in Family Mediation & Separating Couples.